Fantastic photo! We used to have one of those trees at our old house and I absolutely loved it. it is isnt it although last year someone beeped us for shaking it!! yes and you find it in your bra when you get home!! Beautiful just like wedding confetti! yes a game that we pretend too! 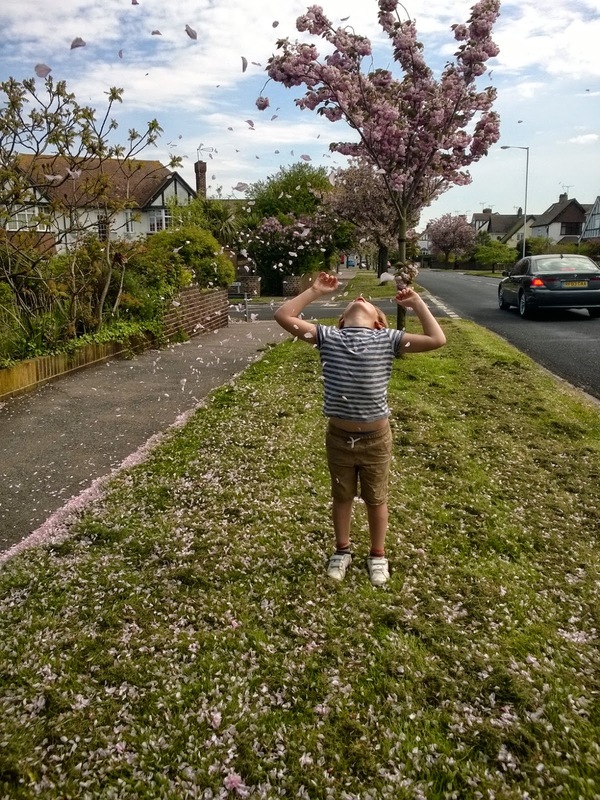 Great photo, really getting a sense of movement looking at it of the falling blossom. Lovely! What a lovely photo! Blossom is always a favourite here!